Hey there! Today's theme is movie, and that is hard. All of my favorite movies are chick flicks, and a few others but all of the ones that came to mind seemed way to hard so then I went Disney! I actually did 2! My first one I didn't really care for but others still said I should use them. So since I wasn't a fan I re did and did something different but I am going to share both. First off the ones I liked! 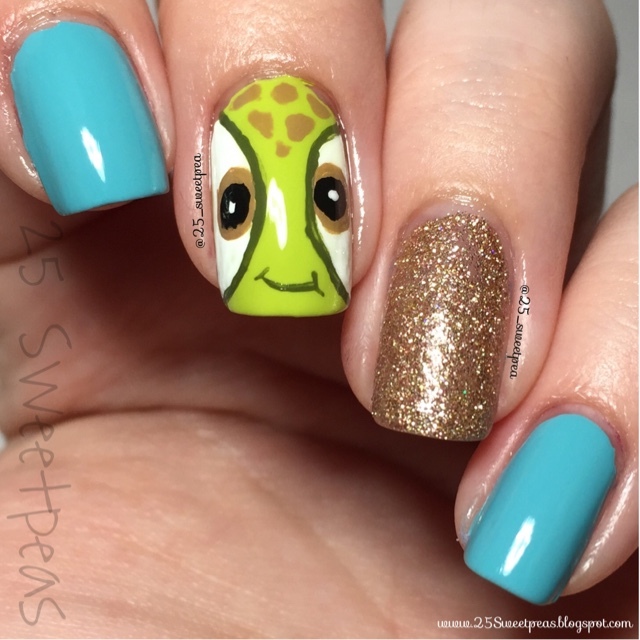 I recreated Squirt from Finding Nemo! 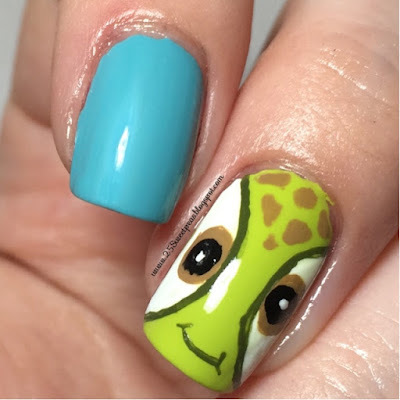 I love sea turtles, and I love when I did these in 2014, so these came to mind after the others were a flop! Now for these the gold glitter is China Glaze Champange Kisses. The blue is Wet N Wild I need a Refresh-mint. The green is Essie More the Merrier. All of the details are done with acrylic paint! I am really pleased with this little squirt! ;) Well now I will show you my failed nails. 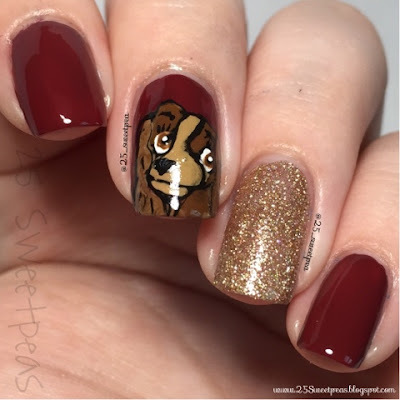 So I thought I would try Lady from Ldy and the Tramp, because well she is gorgeous. However I should not be allowed to try something so detailed! Well I hope you all enjoyed this post! 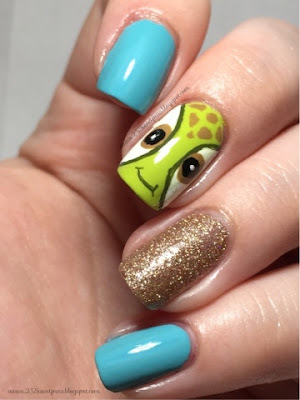 Let me know what you thought of them! Can't wait to hear! !